Happy New Year from all of us here at Katek! We hope you’ve had a great festive season and hopefully have a had a relaxing break and are all refreshed & ready for 2018! WE SPECIALISE IN CREATING FERTILIZER BLENDS TAILORED TO SUIT GROWERS PARTICULAR SOIL AND CROP NEEDS. 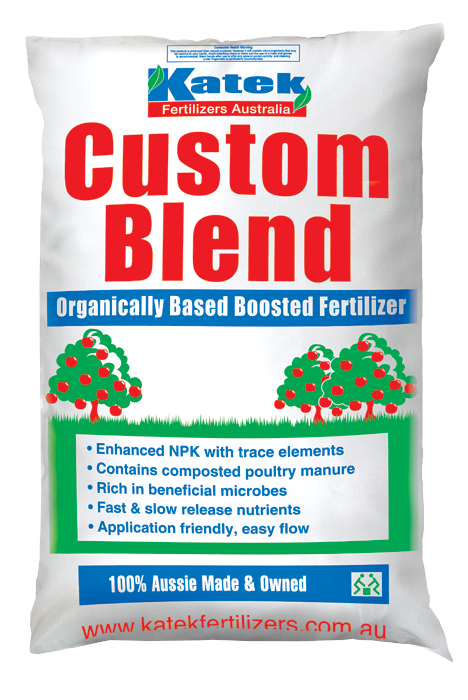 Many blend options are available, including synthetic, organic and mineral inputs in both physical and compound blends. Customised organic/synthetic blends give you a high performance fertilizer that has all the benefits of an organic base. This combination of microbes, organic matter and plant available minerals is the ideal blend for improving overall soil and plant health. Speak to your local distributor about your specific tailored blend. Available in 15kg & 25kg bags, bulka bags and loose bulk. If you’re interested in reviving your soil and plant health, give Andrew Weeks our Sales Representative a call today! Phone: 0427 223 307! See below for one of our success stories using Katek customised blends! 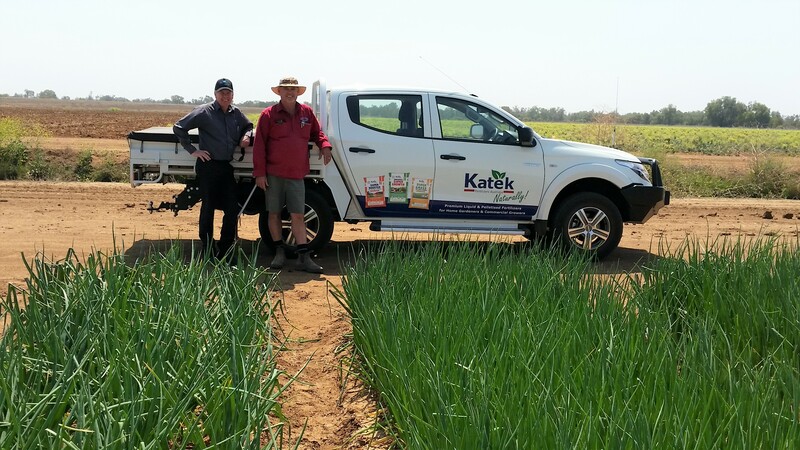 Last season, David Moon liaised with Greg Mills, Senior Agronomist at Cotton Growers Services to develop and refine a Katek manufactured blend designed with their specific crop requirements in mind. Because the soil has a naturally high pH, iron is of particular concern. Problems like this however, are no match for the production team at Katek. A few tweaks of their state of art ribbon blenders and the Moon Rocks high iron blend is manufactured to the exact specifications set down by Greg. ”Ordinarily this would be a major project, but the facilities at Katek`s Gympie plant make the process very easy”. As for David, it sounds like he is sold on the idea. “We put Katek blend under every square metre of horticulture this season, and the results speak for themselves”. Moon Rocks believe that excellent crop nutrition combined with favourable seasonal conditions has delivered the best yield and quality of garlic, onions and broccoli that they have ever achieved. In a boost for Aussie farming, David spoke of his agreement with supermarket giant, Coles. 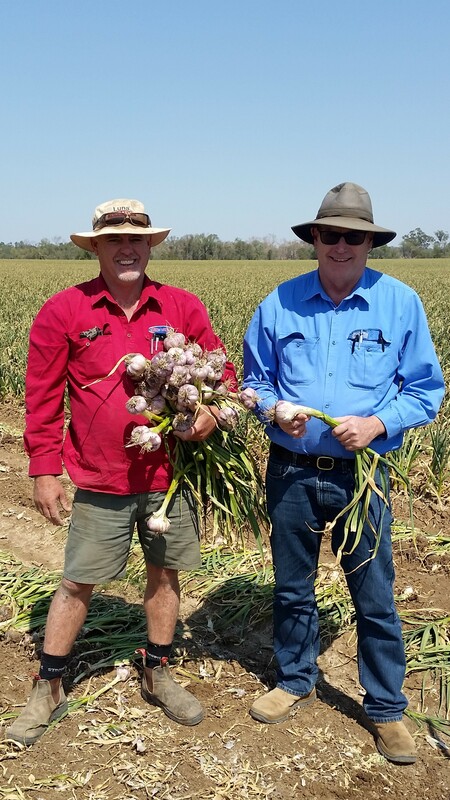 “Through our increase in production this year, we have been able to supply all the garlic that Coles needs to supply their national distribution chain, which in turn has meant that they no longer need to conduct the usual seasonal imports from overseas”. With this success in the bank, Greg is now turning his attention to the cotton, “I will be looking to get some demo sites in place asap. There is no doubt Katek products can be part of the soil health solution in broadacre cropping, we just need to figure out what the best fit and economic use pattern will be; so watch this space”. Farmer David Moon and Greg Mills, Senior Agronomist at Cotton Growers Services – Emerald.